On January 2 a Calcasieu Parish Sheriff's Office deputy responded to a business on South Cities Service Highway in Sulphur in reference to a theft. 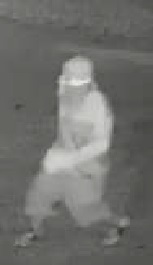 During the investigation detectives reviewed video surveillance from the business which showed a man cut through a chain link fence at the business on December 19 at approximately 11:15 p.m. 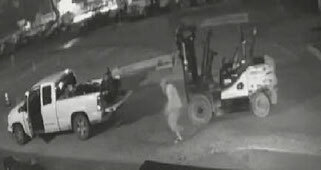 The surveillance then showed the suspect drive a white two door truck through the gate and use the business’s forklift to load a diesel generator and two arc welders into the back of the truck and drive off. If anyone has any information regarding this theft or can identify the suspect or truck seen in these photographs contact the CPSO lead Detective Ross Vartuli at 491-7981.